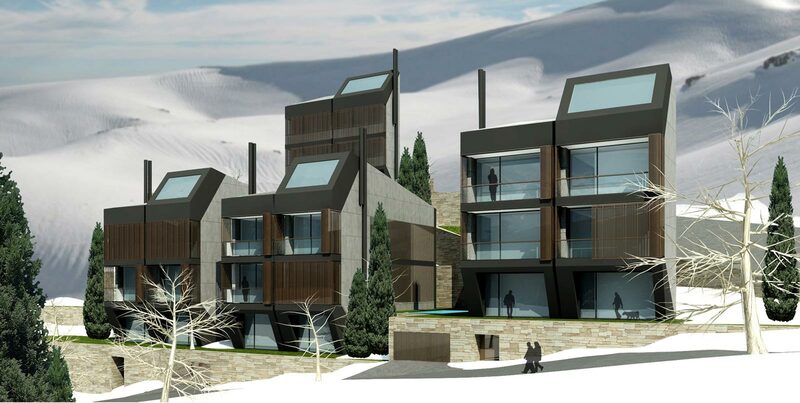 ARTHITECTURAL - "Accent Design Group / snowflake"
This project is located at an altitude of 1800 m, in the scenic town of Tilal Faqra, Mount Lebanon; a short distance from the ski resorts of Faqra and Faraya. 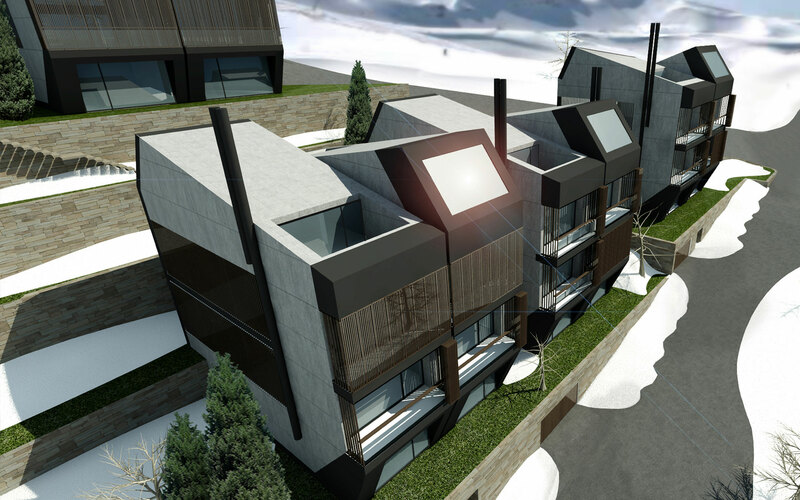 The aim was to create a number of apartments that would serve as summer and winter retreats from city life. The rocky site, which lay on an incline, inspired the massing of the project as a cluster of three independent, wood-clad elements. 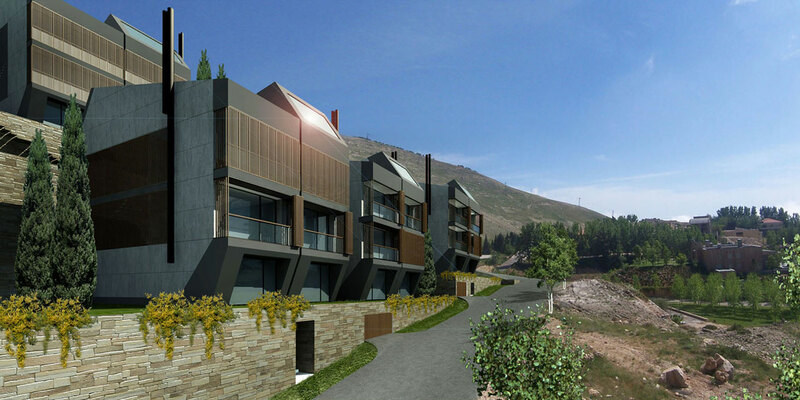 The design is not only adapted to the topography of the site but accentuates it. 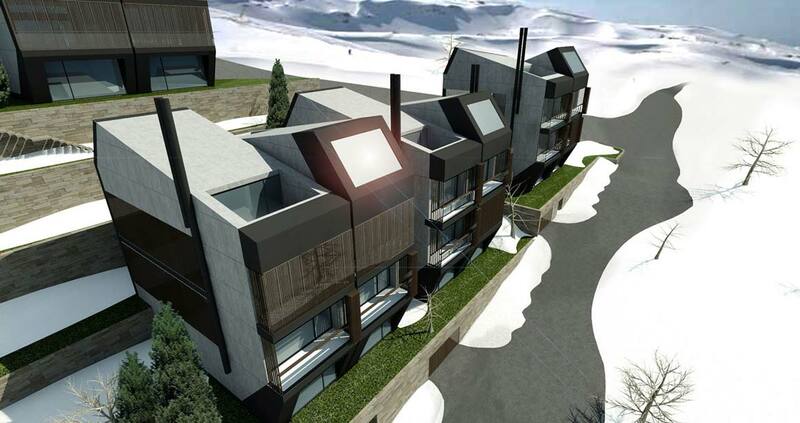 The three blocks contain ten townhouses varying in size and layout. These simplexes and duplexes range from 150 sqm to 220 sqm. 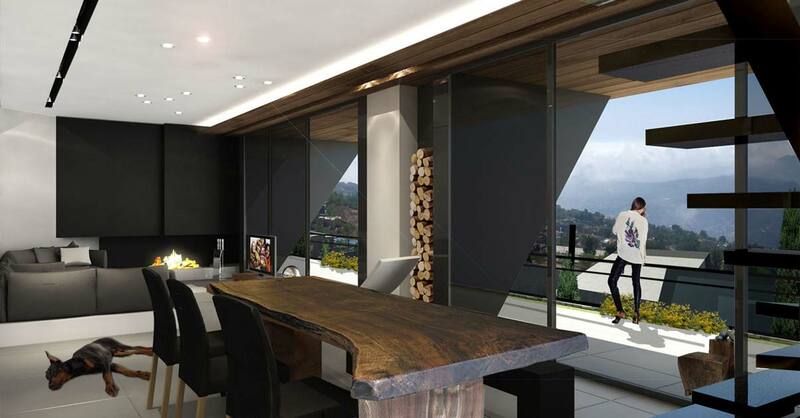 All of them feature unobstructed panoramic views of the landscape below. The area is home to stringent zoning regulations regarding height limitations, and the requirement for pitched roofs. These prerequisites played a large part in the configuration and geometric composition of the three elements. The resulting architectural design was a cluster formed by interrelated components, which made perfect use of a difficult, triangular plot. Snowflake avoids the clichéd style of most developments in the area while blending with its context. Each block has a private underground garage and access to a common entertainment area with a gymnasium, playroom, and swimming pool. A ‘wooden skin’ envelopes the volumes creating an effect of translucency. Mediating between the interior and exterior, the façade allows the inhabitants privacy while maintaining their expansive view.